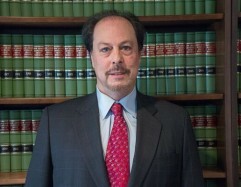 Mr. Jacobs, co-managing partner of the firm, manages much of the firm’s litigation, particularly in the areas of employment litigation, commercial litigation, personal injury, real estate litigation and probate litigation. He represents clients and insurance carriers, including the Monmouth County Joint Insurance Fund, the Garden State Insurance Fund, the Bergen County Joint Insurance Fund and the Municipal Excess Liability Joint Insurance Fund. Mr. Jacobs focuses his practice in the areas of employment-related lawsuits, including discrimination, harassment, hostile work environment, wage and hour violations, and wrongful discharge in federal and state courts. Mr. Jacobs also represents private entities, including closely held businesses, financial institutions and other private employers with their employment needs. Mr. Jacobs is also a frequent lecturer and author of articles on the Health Care Reform Act and its impact on employers.